Do you know what the Acai Bowl is? The Acai Bowl is a dish that includes a fruit called "Acai" in the form of powder or juice that you can find in organic stores or online. 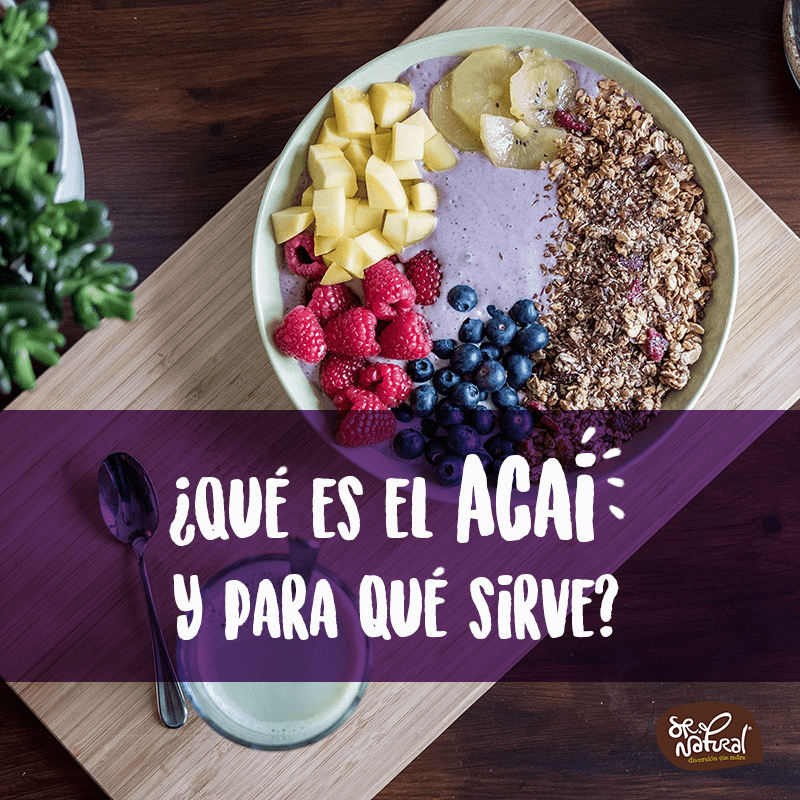 The interesting thing about acai is that it is a fruit that contains many antioxidants, providing proteins, vitamins and minerals such as A, B, C, E, iron, zinc, magnesium and potassium, which makes it a superfood. The dish is very simple, for many it is like eating a smoothie with a smooth texture, not liquid or hard, rather like the consistency of an ice cream, even as rich but healthier. Consists in mix the powder or juice Milky skim or soy or almond or whatever your favorite, natural granola or with blueberries to enhance the natural source of antioxidants, and your favorite fruits like strawberries, tangerines, oranges or blackberries to your liking. Besides being delicious, it has great benefits such as burning fat, slowing aging, lowering cholesterol levels and improving cardiovascular health. Since fruit is a superfood, with great benefits, imagine how good it can be for your body when you add another type of fruit, milk and granola. It really is an ideal breakfast for our health and that, in addition, is delicious. What are you waiting for! Test it!